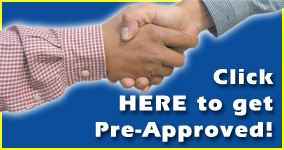 Welcome to Capital Motor Co.
Capital Motor Co. has a wide variety of preowned vehicles. We're sure to have the car, truck, van or SUV you're looking for. Check out our selection of high-quality cars. With all this selection, we know we've got the car for you. Don't see what you're looking for? Fill out our Car Locator form and we'll help get you behind the wheel of your dream car. After you've picked a vehicle, call or email us with any questions you might have. Or stop by and see us. Our friendly staff is here to make your shopping experience stress-free. Once you buy a car from Capital Motor Co., you'll want to make all your car purchases through us. Thanks again, San Antonio! Quality Cars for Quality-Minded People. In-House Financing - We Finance!